Stroke recovery and rehabilitation – The influence of enriched environment and multimodal stimulation. Glia biology – Cellular and neurobiological reactions in brain plasticity and secondary neurodegeneration. Role of brain plasticity in stroke recovery. Cardiovascular fitness and brain cognition – Epidemiological studies utilising comprehensive Swedish military conscription data. In high school I read a story about the new gene technology and future promise in medicine. It stimulated me to read more and also contact some leading researchers at the University of Gothenburg. Later, when I enrolled as a student at the University, I stayed in contact with these researchers and they stimulated me to join as a research student in parallel with the University studies in Medicine. The influence of good role models and mentors was particularly important to me in guiding me into research. Ultimately, better treatment and rehabilitation for people with neurological diseases and injuries such as stroke. The vision is for people to fully recover and regain their health due to new interventions based on increased knowledge about how the brain can recover and relearn. 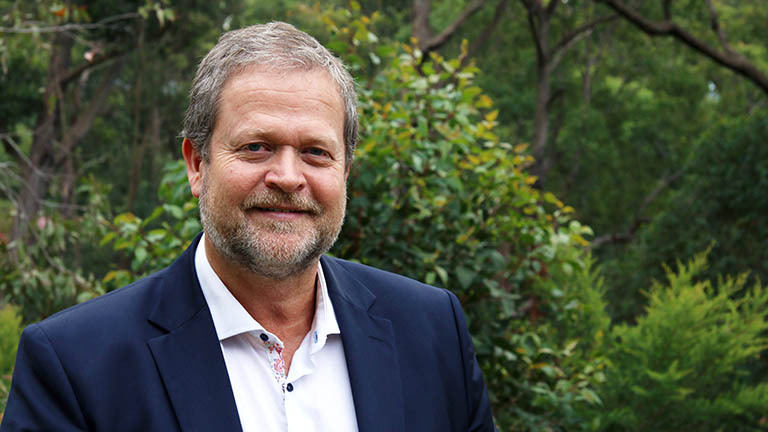 Professor Michael Nilsson MD PhD FAFRM (RACP), is the Director of the Centre for Rehab Innovations (CRI) and Global Innovation Chair of Rehabilitation Medicine at the University of Newcastle. He is a specialist in Rehabilitation Medicine and Neurology (Sweden); Fellow of the Australasian Faculty of Rehabilitation Medicine, The Royal Australasian College of Physicians; Visiting Professor at the LKC School of Medicine, Nanyang Technological University (NTU), Singapore; La Trobe University, Melbourne, Australia; University of Gothenburg, Sweden; and Honorary Professor at the Florey Institute, Melbourne. Formerly Director of Rehabilitation Medicine and the Neuro Division; and Director of Research and Development at Sahlgrenska University Hospital (SU), Gothenburg, Sweden. He is the Immediate Past Director of Hunter Medical Research Institute (HMRI), Newcastle, Australia. Professor Michael Nilsson is a senior translational researcher, clinician and leader in Rehabilitation Medicine. He recently established CRI together with an interdisciplinary team of leading researchers and clinicians. CRI is engaging with industry and stakeholders in public and private healthcare, to develop technology-supported solutions for individually-tailored health and rehabilitation programs in the home settings, community and aged care environments, and within rehabilitation centres. Professor Nilsson has a strong and ongoing interest in rehabilitation processes and programs and the way they are organised and executed. He has developed new models of care in rehabilitation and contributed to improved health service delivery in both public and private sectors. He successfully led the Rehabilitation Medicine clinic at SU to its first international accreditation. He is involved in projects aimed at a deeper understanding of the outcome and impact of translational research and serves as member of the Health Translation Advisory Committee (HTAC), a principal committee of the National Health and Medical Research Council (NHMRC). For over three decades, Professor Nilsson has studied mechanisms underpinning neuroprotection, brain plasticity and neural repair after stroke. In recent years, further emphasis has been put on how stress is interfering with recovery and secondary degeneration processes. He is also exploring the effects of multimodal stimulation/enriched environment on stroke recovery in both laboratory models and clinical trials, implementing new models of treatment in stroke and traumatic brain injury. The links between physical exercise and cognition are also explored in different research programs involving school children, young adults and stroke survivors. Correlations between cardiovascular fitness and brain resilience are further investigated in related projects, utilising a unique cohort of conscripts in the Swedish Military data registers. Professor Nilsson is involved in a number of innovation networks nationally and internationally, and is serving on company and advisory boards in different rehabilitation and other health care enterprises. Professor Nilsson currently holds a number of NHMRC grants as both CI and AI. He is CI and co-lead on the NHMRC Centre for Research Excellence in stroke rehabilitation and brain recovery. Rehabilitation specialist and neurologist focusing on stroke and stroke rehabilitation. Neuroscientist with expertise in stroke recovery, brain plasticity and glial biology. Stroke Finder Helmet - saving time, saving brain! Stroke can be devastating - often leaving a person disabled or deceased. This Stroke Finder Helmet is an innovative tool which could have enormous impact for survival and disability rates for stroke victims. Patients recovering from stroke often report high and unremitting levels of psychological stress. Clinically, the presence of stress throughout the recovery process is highly significant, as stress hormones, most notably cortisol, are known to impair multiple aspects of brain repair including cortical remodelling, angiogenesis, and neurogenesis.